After a controversial Super Bowl spot last year, GoDaddy will not be returning for Super Bowl 50 in February. It's part of the Web domain company's effort to reposition its marketing strategy. "The Super Bowl has been a great platform for our domestic brand building," a GoDaddy rep said in an email statement. "It's done its job to get our name out there. Now, we can move beyond the generic megaphone of a Super Bowl campaign to a more targeted brand of marketing." GoDaddy has run risqué ads during the Big Game every year since 2005—it launched in the late 1990s—including several memorable spots with Nascar driver Danica Patrick and supermodel Bar Refaeli. 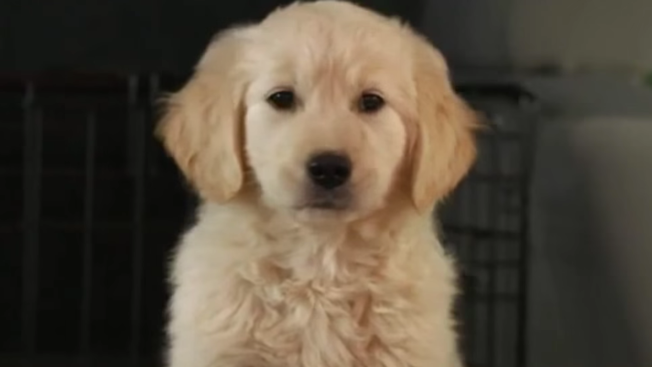 Last year, the brand pulled its ad featuring a golden retriever puppy that falls off a truck and is sold to a new owner, spoofing Budweiser's popular "Puppy Love" Super Bowl commercials. The spot was removed from YouTube after critics panned it for making light of puppy mills. Instead, GoDaddy and agency Barton F. Graf swapped in another spot, called "Working," about a small-business owner who decides to work instead of watching the Super Bowl with his friends. According to a GoDaddy rep, the brand is moving on from the Super Bowl to targeted marketing geared toward small-business owners. "As you've been tracking us over the past several months, you've seen us shifting away from high-level domestic brand awareness to a more personalized, data-driven marketing approach as we expand globally," GoDaddy said. Just yesterday, the brand hired MEC as its first global marketing agency and also recently started working with TBWA.